The vision of the farm is to illustrate the benefits of integration between animals and crops whilst using conservation techniques, environmentally friendly methods and maximising space. It is run as a tenant farm with locals (including some of our staff and boys who used to live with us) working the land and paying rent in the form of produce. Any produce left over after rent is theirs to sell and profit from. This encourages entrepreneurship whilst giving our staff the chance to make some extra income. The farm provides a good part of the boys' menu and helps stock the kitchen in the big house. > Chickens, goats, pigs, turkeys, sheep and ducks are bred for meat. We also use the chickens for eggs. > What we grow depends on the season but generally we have: tomatoes, cucumbers, beans, sunflowers, maize, pumpkins, eggplants, cabbage, kale, peppers, potatoes and onions. > We have a herb garden with chillies, basil, mint, lemongrass, rosemary and chives. > We have a small orchard with oranges, lemons, grapefruits, avocado and papaya. > We also grow coffee which we roast ourselves. > A range of plants such as moringa, neem trees, artemesia and comfry are used to create natural pesticides and for their health benefits such as helping to cure malaria. > We use drip irrigation which conserves water and allows for growing even in the dry season. > We have a bio-gas digester which uses organic waste from the piggery, garden and big house to create gas that can be used as fuel for cooking. This saves on firewood and charcoal. 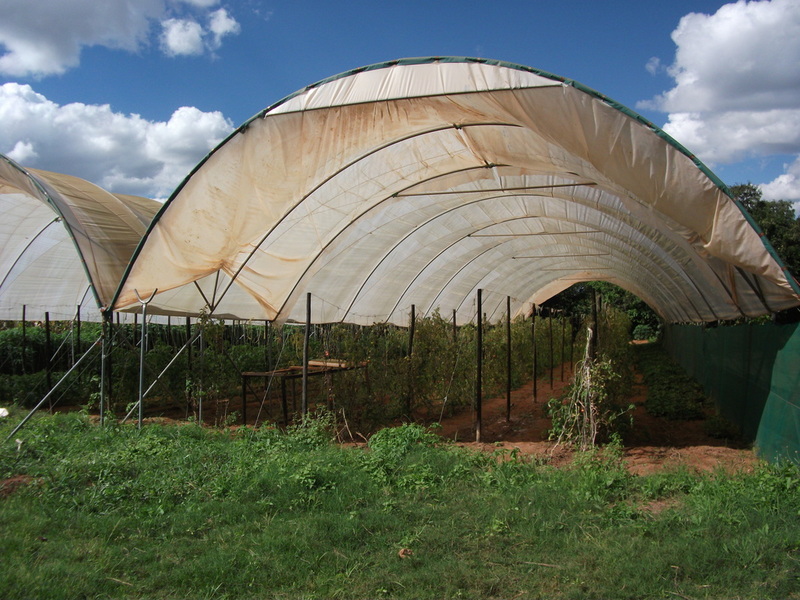 > We have polythene tunnels that act as greenhouses and allow us to plant soft crops even during the rains. >We use natural pesticides and the conservation technique, known as 'Farming God's Way' allows for minimal use of fertiliser. >This technique, combined with planting round trees rather than cutting them down, prevents soil erosion. > A small workshop for carpentry and welding is on the farm. 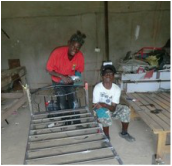 > This allows for training for any of the boys who want to pursue vocational training rather than school. > As well as repairing anything on the farm, it is where some of the work for building Taonga School's new classrooms is done. > Commissions for furniture or decorative pieces are taken from the community. >An educational walkway has been set up on the farm which is designed to teach school children. > It has information on the plants, trees and animals including their uses. >There is also a demonstration of compost making and a wormery. > Schools are welcome to arrange field trips to the farm and the farm manager takes them through it all and answers any questions.